The Department mission is to prepare and enable students to meet society’s needs with respect to the environment, while helping to enrich human life throughout the world. Students are transformed into engineers and researchers through our coursework, where innovative thinking is nurtured in our students. The Department of Mechanical Engineering was founded in 1928 to develop students and help them launch their careers as distinguished engineers and researchers. 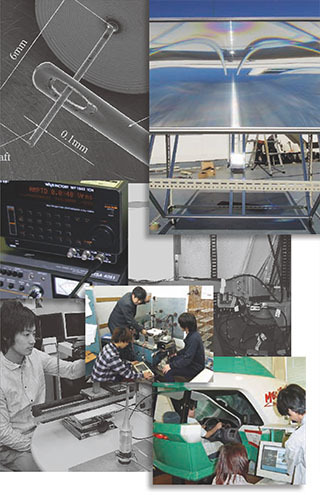 The Graduate Course of Mechanical Engineering started in 1951 with the master’s degree course, with the doctoral course later added in 1953.
of professors. Each student proceeds with his/her research activity in partnership with undergraduate students, and must play a leadership role within the group, where active and open-minded discussion is recommended. Through this process each student will enhance his/her observational abilities about actual phenomenon, investigation, discovery of problems, team leadership, presentation, in order to finally complete his/her paper.